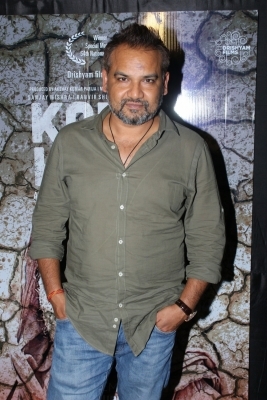 Mumbai April 16 (IANS) National Award-winning filmmaker Nila Madhab Panda is looking forward to the Chinese premier of his drama film "Kadvi Hawa" at the Beijing International Film Festival (BJIFF). "Looking forward to the Chinese Premier of Kadvi Hawa at BJIFF honoured to Be shortlisted among the top 15 films competing for the Tiantan Award from 659 entries from 71 countries Congrats all Sanjay Mishra Ranvir Shorey Tillotama Shome and Manish Mundra " Panda tweeted on Sunday. The film is also in contention for the Titan Award which inherits the values of "beauty in variety harmony in diversity". "Kadvi Hawa" is based on climate change. It also got a Special Mention at the 64th National Film Awards.